7th September 1858. Artist's impression of Queen Victoria's visit to Leeds to open the new Town Hall. 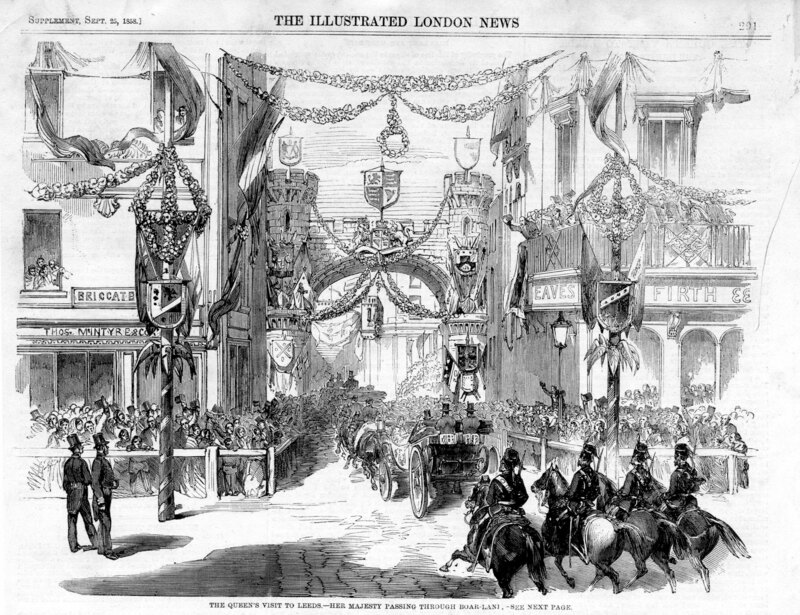 The view shows the Royal party at the junction of Boar Lane and Briggate, where there are elaborate decorations.